I know a lot of people start their spring cleaning in March, but I prefer waiting until I can open up the windows and let the fresh air in as I clean, and around here you are not guaranteed those warm days until mid April or early May. Sure you might get a day here or there of warm weather before then but nothing with regularity, at least not usually. I will admit I am not much of a spring cleaning zealot. I much prefer to work at removing the clutter and dust from my house one inch at a time. I also do a big clean of my home just before Christmas so that it looks great for the holidays. However, there are certain areas of my house such as our front porch, back porch, basement and attic, that I like giving a good cleaning before the warm weather hits. The porches I deep clean in spring because I want to have them ready to enjoy when the hot days of summer hit. The attic and the basement I deep clean in spring because they don’t have heating or cooling systems in them so the temperature is finally right to be in them long enough to clean. Even though I am not a huge spring cleaner, I do believe that each person should work with their own personal cleaning personality to obtain the best results, and so today’s article is to help you spring cleaners do just that. 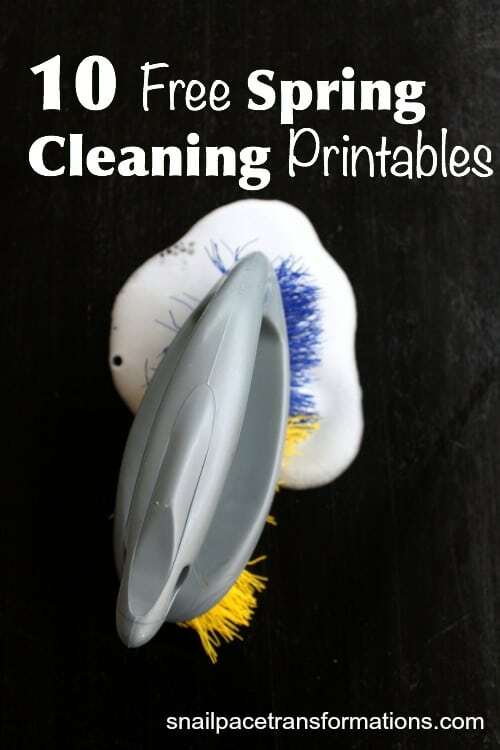 I rounded up 10 different free resources for spring cleaning lovers to check out and print the one that works best with their cleaning personality. Go for it! and when you done if you have energy left perhaps you can come over and help me lift the patio furniture out of the basement and onto the front and back porch 🙂 . 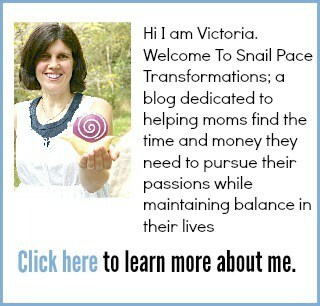 Follow Victoria @Snail Pace Transformations’s board Spring Cleaning Printables on Pinterest. Prefer an all year deluttering plan? Check out my 52 Weeks To An Organized Home. Tired of living a chaotic life? I recommend taking Make Over Your Mornings and/or Make Over Your Evenings. 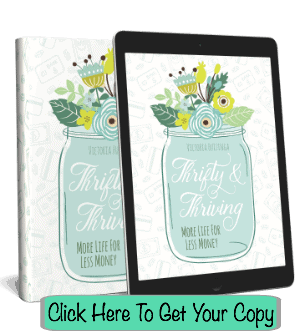 These are 15 day, video driven courses that come with a workbook for you to complete. Each day’s lesson consists of a five minute video, five minutes of reading and a five minute workbook activity. These courses will help you streamline your day taking you from frazzled to calm. This is a very thorough list! We will be spring cleaning soon and I’m sure this will come in handy. Thanks for sharing. Stopping by from the IBN FB group. Wow! That’s a lot of great resources all gathered together! Thank you for this! I’m definitely following that pinterest board. Great post! You’re right, it hasn’t felt like spring until just this week! These are great! As a Virgo I love to have a tidy home but my boys don’t understand how to help me out. These lists will be great to show them things we are going to do. These are great. We moved less than a year ago, but I’m already finding some areas that need a good cleaning. Now to just make the time…. Yes finding time is always the hardest part. 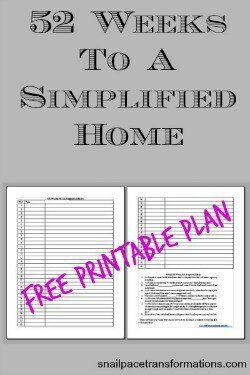 Thanks so much for including my printable. I’ll pin and share on fb. Your welcome. Thanks for creating such a great printable. Now i just need someone to come do all these chores!! Thanks for sharing! Great resources! I also do a bigger clean right before I put up the Christmas decorations. Then I have a smaller list of spring cleaning tasks to get done. Great post, Victoria! I found a lot from myself here. When I make a deep cleaning I do it for purpose – holidays or birthdays. The rest of the time I clean the visible places in my home. I often do a big deep cleaning before Christmas too.